Many put off dental cleanings for fear of exorbitant costs or presumed dire risks. However, with safety measures in place, anesthetic risk is minimized, especially compared to decades past. The fact is that the benefits of dental care more than outweigh the concerns, no matter the age of your pet. There are many benefits to having your pet’s teeth cleaned. No matter how much we joke about dog breath, foul odors caused by dental infections are no laughing matter. 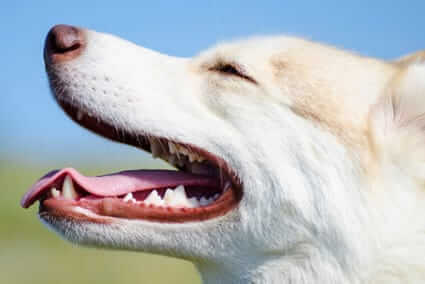 After a dental cleaning, your pet’s breath will be fresh again. Best of all, it will stay fresh with regular dental care. Keep in mind that the regular use of health-promoting dental care products and treats can help reduce plaque buildup and freshen breath, too. Some older pets have mouths that are so painful that eating becomes an ordeal. Once rotten teeth are extracted, eating can become pleasurable again. By addressing periodontal concerns early on, your dog or cat will also live longer and healthier, and enjoy a better quality life. Many people are afraid of dental cleanings and anesthesia, but I find that’s often remedied by a little information. Even though anesthesia has some minor risks, it has never been safer or more comfortable. Many incorrectly assume that anesthesia is something simply administered through a mask, much like ether was used ages ago. However, modern veterinary medicine has advanced tremendously, tailoring anesthesia to best fit the patient. Today’s vets utilize a protocol that includes use of injectable medications, pain-control agents, and/or a combination of inhalants and pure oxygen delivered through a breathing tube. Prescreening for underlying problems helps to avoid unnecessary risks. Expect your vet to complete a physical examination – blood work; liver, kidney and thyroid functions; verifying that all of the body’s organs are fit – all of this is done before any anesthesia is administered. During the dental procedure, there is constant monitoring by trained technicians and computerized equipment. All the while, patients are given IV fluids and kept cozy with warm blankets. Thanks to National Pet Dental Month, now is the time to take advantage of dental cleaning specials offered by veterinary clinics. Be sure to check with your clinic soon to inquire about any current promotions. I strongly encourage you to partner with your veterinarian, to ensure that your fur kid has the kind of oral healthcare that will help to support a long and healthy life. I have some suggestions for future articles. These would be beneficial for us to be able to refer customers to. 1. Why does our kibble use chicken meal instead of chicken? 2. Is it okay if my cat or dog occasionally skips a meal? 3. What kinds of fresh foods can I add to my dog’s or cat’s Life’s Abundance kibble? 4. Why doesn’t our Life’s Abundance kibble contain glucosamine and/or chondroitin? Thanks for your caring and expertise! dr jane, if my dog has had severe anaphylactic reaction to standard vaccines and tends to react to any bug bites with swelling should I be concerned about using anesthesia if and when she needs to have her teeth cleaned? she is five and in good health aside from the allergies. I brush her teeth every single night so the teeth are in good shape too but I know that she will eventually have to have them cleaned and I worry. she is a maltese. thanks you for any advice. Sedation dentistry is a common practice dentists implement to help patients have anxiety free dental treatment. Using sedation dentistry helps to relax nervous or apprehensive individuals so they can receive appropriate dental care in the safest manner possible.